Can copper be turned into silver? 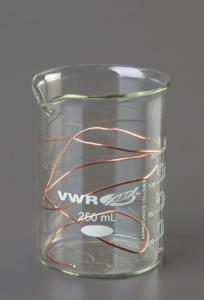 As the copper metal and silver ions in the provided solution mix together, it undergoes a reduction-oxidation reaction. The copper art present in the beaker will develop into silver crystals on the surface as a result and students will be amazed to watch this transformation before their very eyes.